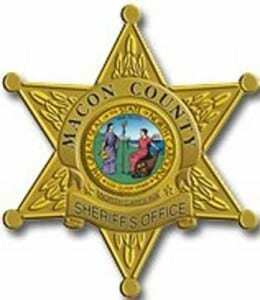 The Macon County Sheriff’s Department, Franklin Police Department or Jackson County Sheriff’s Department made the following arrests Dec. 18 – Jan. 1. All suspects are innocent until proven guilty in a court of law. Wylene Elizabeth Wall, 29, of Otto, was charged with failure to appear for possession of heroin, possession of drug paraphernalia. A secured bond of $20,000 was set. Audrey Parrish made the arrest. Jamie Patrick O’Neal, 25, of Franklin, was charged with possession of methamphetamine, possession with intent to manufacture/sell/deliver a schedule II controlled substance, possession of drug paraphernalia, possession with intent to manufacture/sell/deliver a schedule VI controlled substance. A secured bond of $16,500 was set. Anthony W. Momphard made the arrest. Bradley Kevin Jones, 42, of Franklin, was charged with unauthorized use of a motor propelled conveyance, failure to appear for possession of stolen motor vehicle, alter/destruct/etc. stolen motor vehicle/part. A secured bond of $4,500 bond was set. Brian W. Mitchell made the arrest. Jeffery Todd Sanders, 50, of Franklin, was charged with assault on a female, resisting a public officer, assault inflicting injury law enforcement officer. No bond was set. Audrey Parrish Made the arrest. Brian Scott Shaffer, 22, of Franklin, was charged with domestic violence protective order violation. No bond was set. Anthony W. Momphard made the arrest. Robert Charles Sanders, 38, of Franklin, was charged with possession of drug paraphernalia, possession of a firearm by a felon, possession of methamphetamine, possession of marijuana, possession of a schedule VI controlled substance, resist/obstruct/delay law enforcement officer. A secured bond of $112,000 was set. Michael R. Hollifield made the arrest. Roger Theodore Bates, 66, of Franklin, was charged with assault on a female. No bond was set. Mike Langley Sr. made the arrest. William Charles Allen, 35, of Franklin, was charged with second degree kidnapping, assault with a deadly weapon causing serious injury, interfering with emergency communications, misdemeanor child abuse. No bond was set. Mike Langley Sr. made the arrest. Samantha Lynn Gunter, 27, of Whittier, was charged with driving while license revoked impaired revocation, possession of controlled substance on prison/jail premises, fugitive from other state Georgia. A secured bond of $7,000 was set. Mike Langley Sr. made the arrest. April Renee Burd, 24, of Franklin, was charged with fraud for obtaining money/property by false pretense, breaking and entering, possessing/concealing stolen property. A secured bond of $38,000 was set. Anthony W. Momphard made the arrest. Pamela Kay McCall, 35, of Otto, was charged with driving while intoxicated for alcohol. An unsecured bond of $550 was set. Troy L. Burt made the arrest. Erin Miranda Willis, 35, of Love St., was charged with domestic protective order violation, simple physical assault. No bond was set. Justin M. Norman made the arrest. Julia Teresa Angel Vance, 19, of Marion Thomas Rd., was charged with murder, negligent child abuse serious bodily injury. No bond was set. Laurie C. Beegle made the arrest. Emery Thomas Burcie, 33, of Bluebonnet Dr., Keller, Texas, was issued a fugitive warrant for parole violation. A secured bond of $7,500 was set. Randy S. Dula made the arrest. Matthew Davis Harder, 23, of Franklin, was charged with larceny, fraud for wire/computer/other electronic manipulation, trespassing. A secured bond of $13,000 was set. Dwayne S. Cabe made the arrest. Adriana Nicole Garcialita, 19, of Franklin, was charged with fraud for wire/computer/other electronic manipulation. A secured bond of $12,500 was set. Dwayne S. Cabe made the arrest. Cindy Ann Calangan, 26, of Sunrise Park, was charged with obtaining property by false pretense, uttering a forged paper or instrument containing a forged, financial card theft, identity theft, motor vehicle theft. A secured bond of $117,500 was set. Jonathan C. Bean made the arrest. John Hoyt Atkinson, 25, of Haughton Williams Rd., was charged with motor vehicle theft, identity theft, fraud for obtaining money/property by false pretense, financial card theft, financial card fraud. A secured bond of $25,000 was set. Timothy J. Lynn made the arrest. Carlos Omar Luna Medina, 34, of Piney Lane, was charged with driving while impaired, driving while license revoked, left of center. An unsecured bond of $2,500 was set. Matt G. Pellicer made the arrest. Vella Mae Rhinehart, 43, of Watauga Rd., was charged with failure to appear for domestic violence protection order violation. A secured bond of $10,000 was set. Jonathan Bean made the arrest. Ryan Christopher Lee, 28, of Honor Court, Glennville, was charged with child abuse. A $2,500 bond was set. Celestine A Holloman made the arrest. Bobby Joseph Johnson, 25, of Hard Rock Rd., was charged with injury to personal property, assault on a female. No bond was set. Conner L. Wilson made the arrest. Charles Michael Richards, 51, of East Cope Creek, was charged with possession of an open container of alcohol, driving while impaired. No bond was set. Dray E. Holland made the arrest. Tamara Carter Reece, 36, of Spirit Mountain, was charged with school attendance violation. No bond was set. Robert E. Porter made the arrest. Mark Christopher Reece, 44, of Spirit Mountain, was charged with school attendance violation. No bond was set. Robert E. Porter made the arrest. Trent Allen Bentivogli, 26, of Haskett Rd., was charged with failure to appear for possession of a weapon of mass destruction, probation violation, driving while intoxicated for alcohol and/or durgs, possessing/concealing stolen property, larceny. A $15,000 bond was set. Celestine A. Holloman made the arrest. Monica Elise Hernandez, 35, of Pine Creek Rd., Cullowhee, was charged with larceny, breaking and entering. A $5,000 bond was set. Dray E. Holland made the arrest. Alexandria Jade Jackson, 25, of Sleepy Hollow, Cherokee, was issued an order for arrest for misdemeanor larceny. A $3,000 bond was set. Dray E. Holland made the arrest. Nicholas James Zoda, 28, of Morgan Rd., Kelly, was charged with failure to appear for possession of methamphetamine. A $50,000 bond was set. Dray E. Holland made the arrest. Brent Andrew Moore, 27, of Assurance Trail, was charged with possession of stolen goods/property, obtaining property by false pretense. No bond was set. William M. Hawkins made the arrest. Kamie Calhoun Seay, 35, of Mink Branch Rd., Cherokee, was issued an order for arrest for driving while license revoked. A $500 bond was set. Jesse L. Henkel made the arrest. Kamie Calhoun Seay, 35, of Bullseye Lane, Whittier, was charged with parole and probation violations. A $5,000 bond was set. Kenneth D. Woodring made the arrest. Yulonda Renee Wolfe, 45, of Old Riverbend Rd., was charged with assault with a deadly weapon inflicting serious injury. A $5,000 bond was set. Kenneth D. Woodring made the arrest. Dimond Spring Wolfe, 23, of Raintree Dr., Cherokee, was charged with assault inflicting serious injury. No bond was set. Kenneth D. Woodring made the arrest. Chad Everette Greene, 46, of Ascension Dr., Asheville, was charged with failure to appear for defrauding an innkeeper. A $20,500 bond was set. Josh A. Yopp made the arrest. Joshua Warren McDowell, 36, of Cook Rd., Highlands, was charged with identity theft. A $30,000 bond was set. Andrew W. Bennett made the arrest. Krista Bryson Valentine, 53, of Valor Mountain, Glenville, was charged with resist/obstruct/delay, assault on a government official. A $1,000 bond was set. Jesse L. Henkel made the arrest. Tommy Thanh Tran, 25, of Paces Woods, Lawrenceville, Ga., was charged with felony larceny. A $2,000 bond was set. Stephen B. Watson made the arrest. Tafford Christopher Dyar, 34, of Agusta Dr., was charged with simple physical assault. A $1,000 bond was set. Robert E. Porter made the arrest. Anthony Edison Mace, 29, of Trout Creek Rd., Tuckasegee, was charged with failure to appear for obtaining property by false pretense. A $10,000 bond was set. Andrew W. Bennett made the arrest. Donna Lynn Murphy, 52, of Folklure Dr., Whittier, was charged with. possession of marijuana paraphernalia, assault on a female. A $1,500 bond was set. Kenneth D. Woodring made the arrest. Erica Leah Bradley, 30, of Hallmark Lane, Whittier, was charged with larceny. A $3,000 bond was set. Daniel B. Wellmon made the arrest. Monica Elise Hernandez, 35, of Pine Creek Rd., Cullowhee, was charged with larceny from outside residence. A $5,000 bond was set. Andrew W. Bennett made the arrest. Monique Remetrius Norris, 36, of Castle Rock Circle, was charged with failure to appear for driving while license revoked. A $500 bond was set. Jesse L. Henkel made the arrest. April Dawn Messick, 34, of Mosaic Lane, was charged with possessing stolen property, larceny, breaking and entering of a motor vehicle, identity theft, obtaining money/property by false pretense, maintaining a vehicle/dwelling/place controlled substance. A $40,000 bond was set. Jesse L. Henkel made the arrest. Kevin Michael Hart, 45, of Patten Cove Rd., Swananoa, was charged with trespassing. No bond was set. Dray E. Holland made the arrest.